Yarn Type A super chunky yarn with a soft, rippled surface, in a range of trendy marbled fashion shades. The perfect yarn for making stylish garments for a more casual look, it is also ideal for making soft home knits, such as cushions and throws. Hayfield Ripple is made from a machine washable blend of 97% Acrylic and 3% Polyester. It is also a standard super chunky so will knit to all of Sirdar's super chunky designs. Machine Washable/wool cycle. 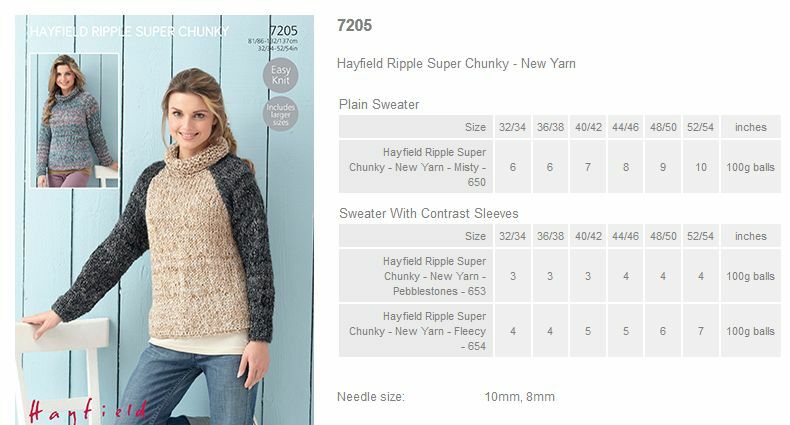 Leaflet with designs for a Plain Sweater and Sweater with Contrast Sleeves using Hayfield Ripple Super Chunky. 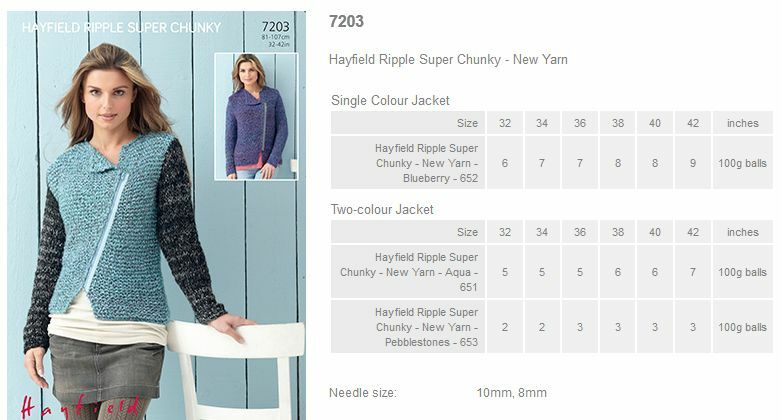 Leaflet with designs for a Single and 2 Colour Jackets using Hayfield Ripple Super Chunky. 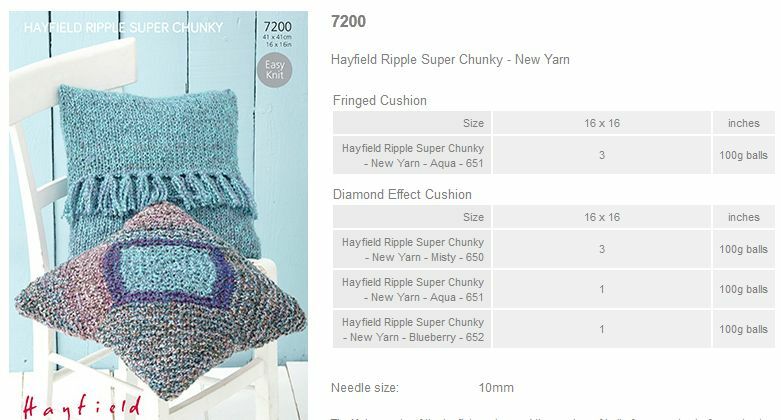 Leaflet with designs for a Fringed Cushion and Diamond Effect Cushion using Hayfield Ripple Super Chunky. 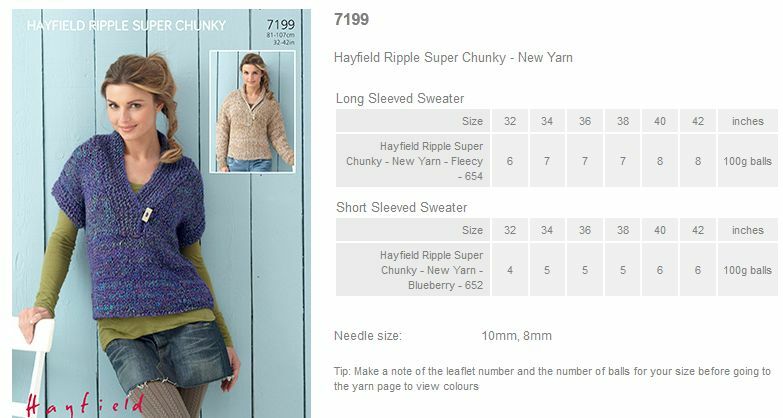 Leaflet with designs for a Long Sleeved Sweater using Hayfield Ripple Super Chunky. 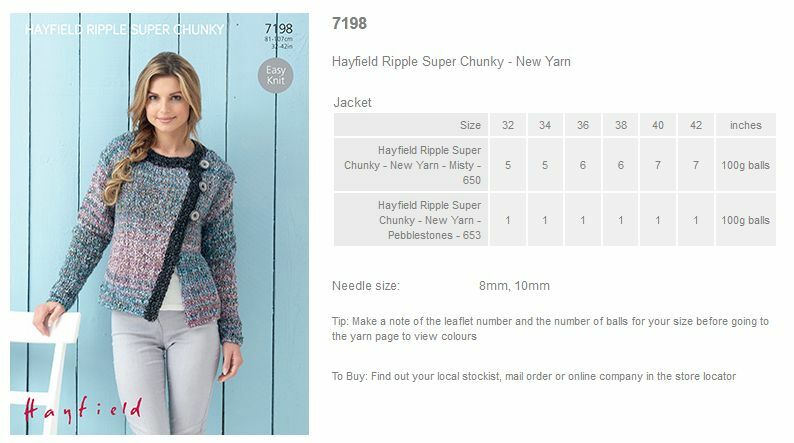 Leaflet with designs for a Jacket using Hayfield Ripple Super Chunky.